Today we have a guest blogger – my sister Loreleigh. Many of you might remember her previous post on this blog, about the time when I turned her into bear bait. What do you think older sisters are for? As a reminder – this is my HORSEY-sister (unlike the UNhorsey redgirl). 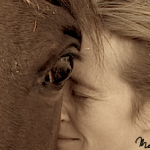 This story is admittedly unhorsey, BUT it’s my blog and I’ve decided that it deserves space. Some quick background – The ’92 Corolla is the car I learned to drive in as a teenager. Dad bought it after graduating from college as a commuter. By the time I got it, it had 230K miles on it. It was mine for a whole year (2 years?) and it (very briefly) was handed over to redgirl. It managed to survive its short foray into redgirl’s ownership and passed to Loreleigh. Loreleigh drove it and as it slowly turned into a sports car (that’s what you call a 4 door sedan whose rear doors don’t open any more, right?) it was decided that the younger brother would receive a truck…..like a real guy….not like a sissy girl….so the car went off with Loreleigh to college. And then….back home after graduating college. I offered a month ago to buy it for $1,000. She refused. Rightly so, as it turned out. So I paid a little more and bought myself a ’97 Corolla (same model) and if I squint hard enough, I’m 18 again. At this point in its story, the Corolla had had 300K or so miles? Fit as a fiddle. Ran like a top. Going to go forever right? Uhhhh…that would be a NOPE. Let’s hear about the death of a Corolla the words of her current driver. My sister blew up my car. Perhaps this is a strong word for what happened but I have tried her in the court of sisterly justice on the charge of transportation immolation and have found her innocent by reason of the car-is-crap defense and sentence her to an eternity of never letting her forget it happened. My sister (the non-horsey one) asked to borrow my car for an errand… or take my brother’s truck. I felt a premonition that I would regret it but … common place whenever a sister asks for a favor. Ten minutes later when I was happily tossing a tennis ball for Tess I got a call. It was my sister. Her over cheerful voice was the one that implied that she had locked the keys inside again. I opened my mouth to tell her where I keep my spare. She had driven my car about 3 or 4 miles to the store, went inside for five minutes, and then ran outside to see the burning car. Upon realizing that it was HER car burning she kept the firefighters from breaking the windows and tried to remember whose car it actually was. I imagine it like an episode of Cops. “Who owns THIS car? Ummm… my sister let me borrow it, but it might not be hers…. Papers? It probably has those…” This being my tiny hometown “burning car” brought in a firetruck, two police cars and a handful of CHP (who in all fairness might have been there to eat at Panda Express). Thankfully, Father arrived with his AAA card and official owner-ness and once again it used the free tow for the year home. I think I blame her most for not taking me with her, if my car was going to catch on fire, I at least wanted the excitement of watching it burn. Father got a beer and we stood around the open hood of the car. The little fan that blew on the radiator to cool the engine died. The little motor got hot, smoldered and caught the weather stripping on fire and it was a lost cause from there. The next morning I pulled the silver Toyota emblem out of a solid pool of melted black plastic on the hood, suspiciously pristine with a faint dusting of sickly yellow fire foam and handed it to Melinda whose Corolla is pristine except for its missing hood bling. “It’s probably cursed.” I said slipping it into place right next to the radiator fan. Hehehe… that was great! Thank you for the Friday morning laugh! ohhh, too funny!!!! I’m a diehard subaru fan, but I can appreciate a car with over 300k on it!!! Hilarious. And reminds me of my old Accord. To be fair the car is a ’93 Corolla with “only” 254,000 miles. Who knows, it might be worth fixing. Someone with a degree in accounting should be able to figure out how to replace a few parts. For some reason I’ve always wanted to call it a ’92 even though it’s wrong. Maybe bc u graduated n ’92? I guess Loreleigh didn’t put as many miles on it as I had thought. I’ll revise my intro if I get around to it. « How specifically does Dressage help?